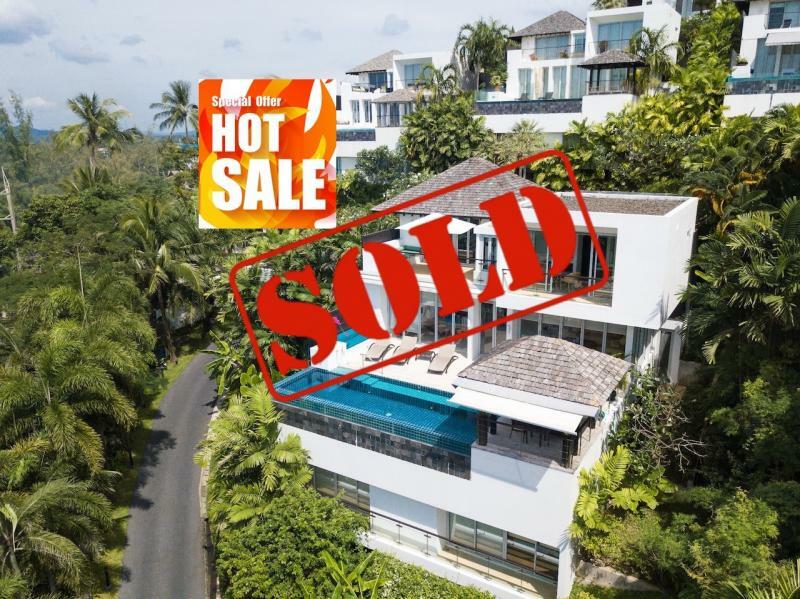 Set on a private hillside gated community offering Sea Views, this modern 4 bedroom villa for sale is located at 300 m from Surin Beach. 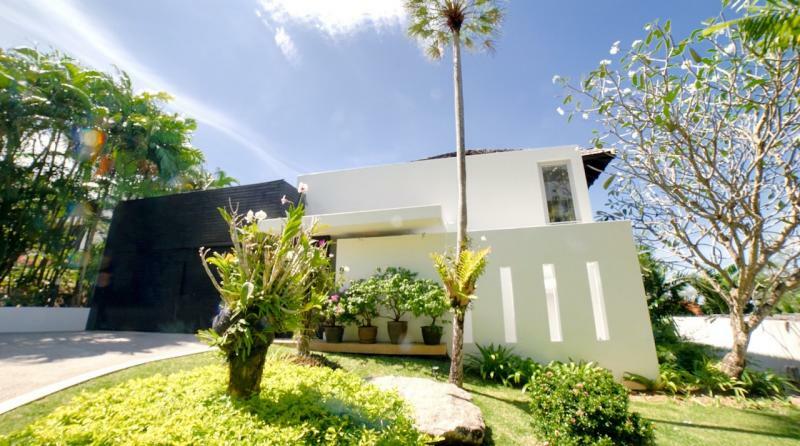 This modern, innovative design villa with private pool and sea view is located close to Surin Beach. 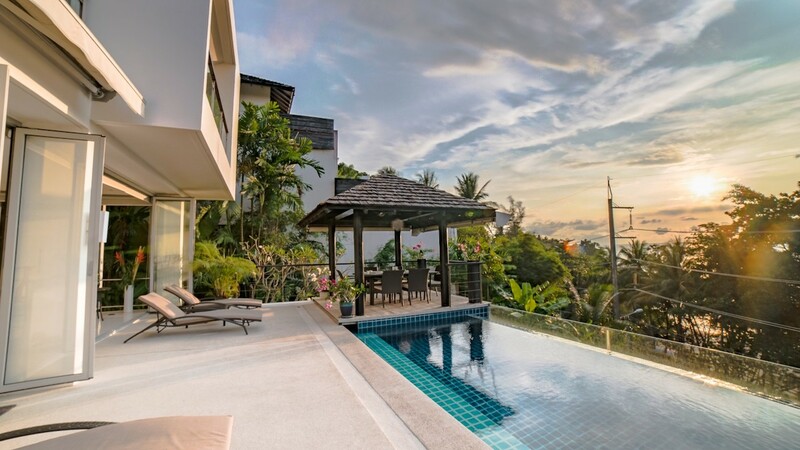 This villa offers spectacular views of Surin Beach which is at just 200 meters. This property was built in 2006, with an innovative design, coupled with a very high quality construction. This villa has a built area of 400 m2, on 4 levels. The entrance is on the second floor, as well as the garage for 4 cars. On the doorstep, you will find a small hall, opening onto the living room, dining room and kitchen. The heart of the property is the living room, located next to a more formal dining room and a very high standard kitchen fully equipped with high end appliances. Folding glass bays open to merge the interior space with the outside one. A large terrace with a Sala surrounds the infinity pool. 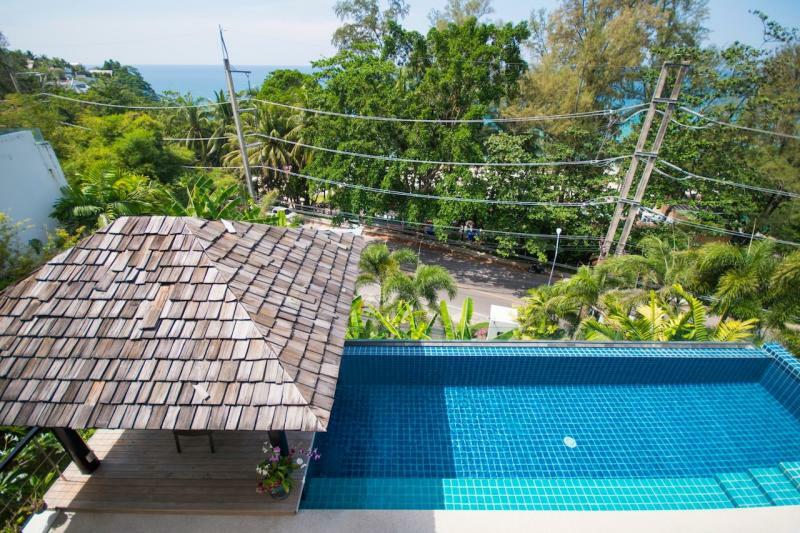 The property offers fantastic views of the sea and the beautiful sunsets. The outdoor area can be used whatever the weather conditions thanks to the electric awning. The master bedroom has a superb bathroom with a large white terrazzo bathtub, a private balcony with sea view. The lower floors have 3 further bedrooms with en-suite bathrooms and beach views.